Have you noticed that many food packaging designs lately have so much to say on their front panels? It is with good reason: when you communicate the most important key selling points on the front panel, the packaging informs consumers and quickly helps them to see the key selling points that motivate them to buy. However, we are beginning to see too many callouts on food packages which can lead to callout overkill. When there is too much information—even beneficial callouts—on the front of the packaging design, consumers can become numb to these points in passing. Or, they might not be engaged at all by an overly busy package. 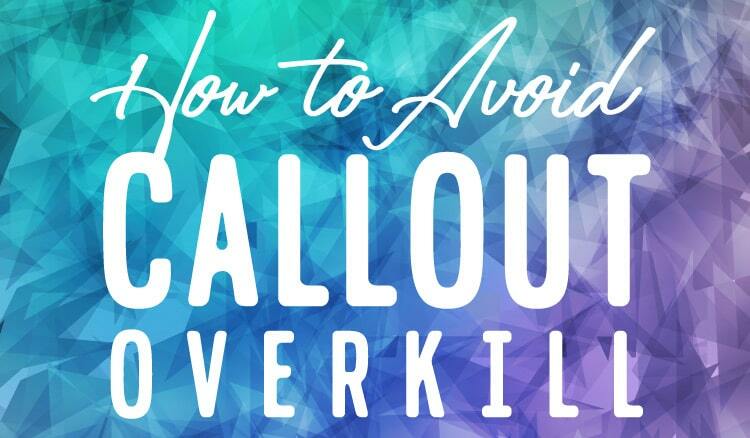 With so many important aspects to promote about your product, how do you avoid callout overkill? Organic, Non-GMO and Gluten-Free: The chief callouts that sell with the specialty food consumer have been and continue to be Organic, Non-GMO and Gluten-Free. These three popular callouts that resonate with the specialty food consumer are especially convincing when seen altogether.I often say that you can never over-emphasize Organic on a food package, because it is such an important selling point with specialty food consumers. Your product must be certified organic in order to promote the word organic or use the logo on the front of the package [Related: Is Organic Certification Worth It?]. For Non-GMO and Gluten-Free, there are certification logos you can use if your product is certified with those agencies (Non-GMO Project, Certified Gluten-Free), but you can also state that the product is Non-GMO or Gluten-Free in text or with your own logo callouts if not certified. You simply need to be able to prove these claims if challenged. Free-from callouts: Your food packaging design might also promote other specific negative ingredients that it does not contain, also called free-from callouts. Non-GMO/GMO-free and gluten-free are also free-from callouts, but you might include others specific to your product. Nutrition Content Claims (NCCs): These are very effective in specialty food packaging design. This is when you categorize a level of a nutrition item listed in the nutrition facts panel, perhaps skewing it as high in something beneficial or low in something negative. Examples might be “high in protein” or “contains 8g protein per serving”. Sometimes it might also be something that’s not in the nutrition panel, like Omega-3 content. There are very specific rules for these types of callouts which I cover in FDA Food Packaging Claims Made Easy. It’s important to know these rules when using NCCs. Points of distinction from competitors: Other important callouts are those that distinguish your product from a competitor’s. For example, if theirs is made with refined sugar and yours is naturally sweetened, you might cite that as a selling point. Similarly, things like no artificial flavors can be key points of distinction. There could be many more depending on your product, so these are just a couple examples. It’s important to understand that the product has a short 2–3 second window to capture attention and get the consumer interested enough to pick it up. In order to do that, the principal display panel (PDP)—which in most cases is the front panel—should focus on only the most important key selling points that will entice the consumer to pick it up. These are the primary key selling points. The supporting panels should contain any secondary key selling points, as well as brand story to facilitate an emotional connection with the consumer. The supporting copy on the secondary panels should also help convince the sale. When you have the room, it’s usually a good idea to reinforce the primary key selling points on the supporting panels as well. How do you decide what are primary and secondary key selling points? 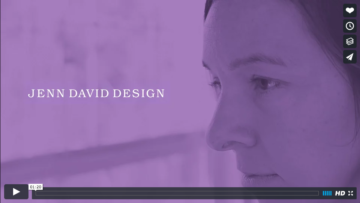 There is no hard-and-fast rule for figuring out what is most important and what is secondary, and it also depends on the size of the PDP and how much space you have to work with. This is where your consumer and industry research comes in, perhaps some focus groups on different options (do some A/B testing—there are some great online resources for easy focus groups), and team decision-making. Most specialty food packages are generally small- to medium-sized, in which case I recommend up to three text callouts for key selling points (this is going to vary depending on the specifics of your packaging however). It’s possible to include other callouts by using certification logos or icons without any additional text. When using the organic certification logo however, I always recommend including the descriptor Organic in the product title to reinforce that important messaging. Consumer notices the product, sees the primary key selling points and is interested enough to pick it up. Consumer looks over the rest of of the packaging, sees any secondary key selling points (if applicable), scans the brand story and descriptive information and is convinced enough to put the product in the cart. Consumer notices the thumbnail, sees the primary key selling points (these might be in the title, short description following the title, or on the product’s detail page) or and is interested enough to read further. Consumer clicks through to the product’s detail page (if they aren’t already on that page) looks over the rest of of the product information, sees any secondary key selling points, scans the brand story and descriptive information and is convinced enough to put the product in the cart. Another big component to the online decision-making process is reading reviews if applicable, so that might happen near the beginning or toward the end of the process. Remember, this all often happens rapid-fire. In some cases and particularly online, one might spend a little longer reading in detail or browsing, so the process may be more drawn out. But the initial impression and deciding whether to look further or pass by happens within that 2–3 second window. When you have your primary and secondary key selling points separated and strategically placed to pique interest and close the sale, your packaging is literally guiding the consumer into buying the product. When a package clearly and effectively communicates, it builds trust with the consumer. This in turn helps facilitate a stronger connection with the brand, and a greater respect for the product. This trust is essential for today’s brands to stay relevant and create lasting impressions with their audience. If you’re interested in going further on how to build trust with consumers and why it’s important, check out our recent article, A New Relationship with Food. I’ll be covering all aspects of strategic food packaging design in my upcoming book, How to Design Your Specialty Food Packaging to Sell. 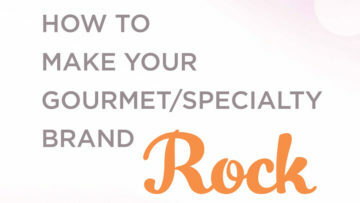 You can learn more, and be the first to know when it’s available, at specialtyfooddesign.com.